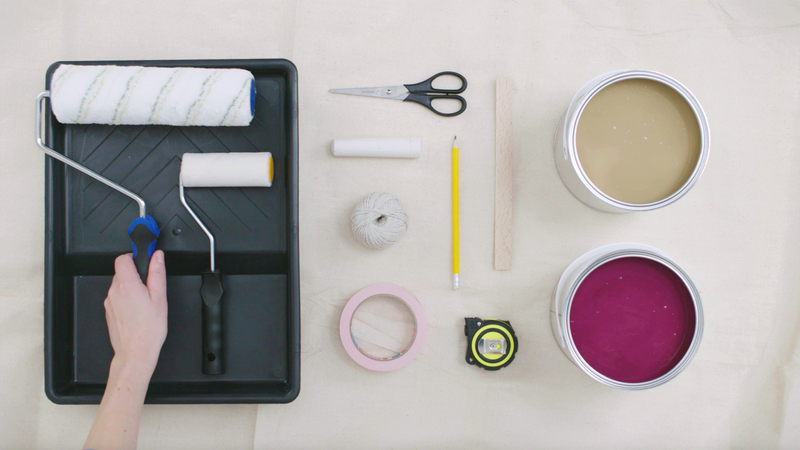 We all know that a fresh coat of paint can completely transform a wall. But using more than one colour to highlight a space, or create a feature, will help you achieve a high-end interior decorator look that takes your room to the next level. An elegant stripe near the ceiling will bring definition and distinction to your space and it’s easy to do – just follow our step-by-step guide. 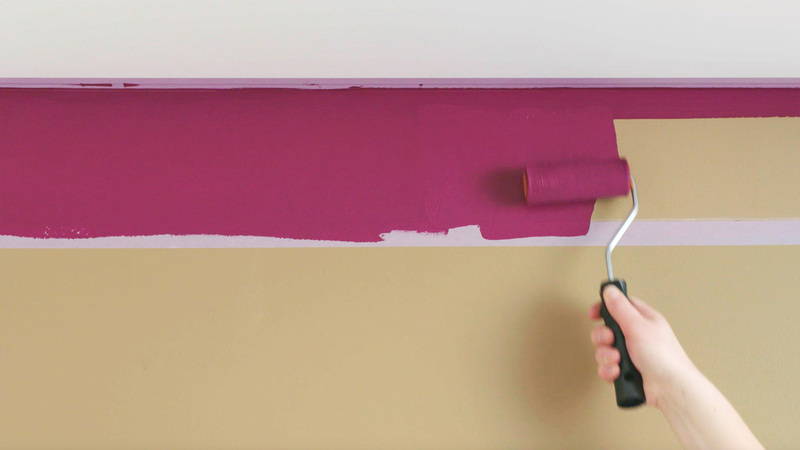 Fresh clean paint will work best as the background for your stripe, so now’s the time to choose a new colour. We’ve used Creme Brulee, Dulux Colour of the Year 2019. 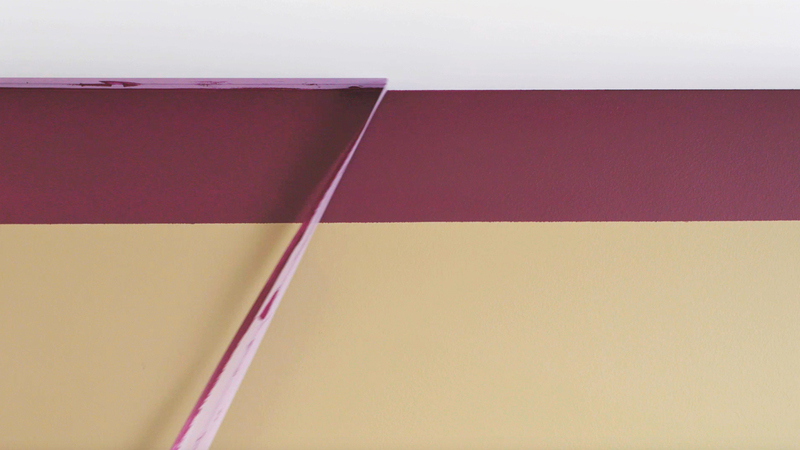 For an instant preview of what this warm and welcoming shade could look like on your wall download the Dulux Visualizer app. 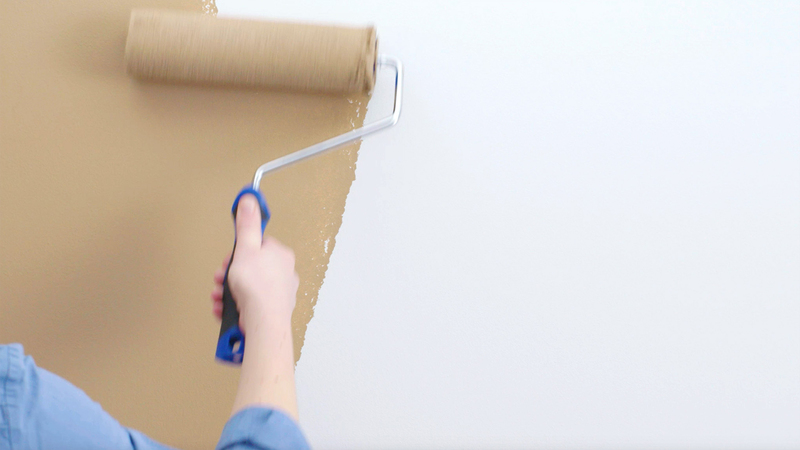 Once you’ve applied your new background colour and the paint is completely dry, you’re ready to create your stripes. 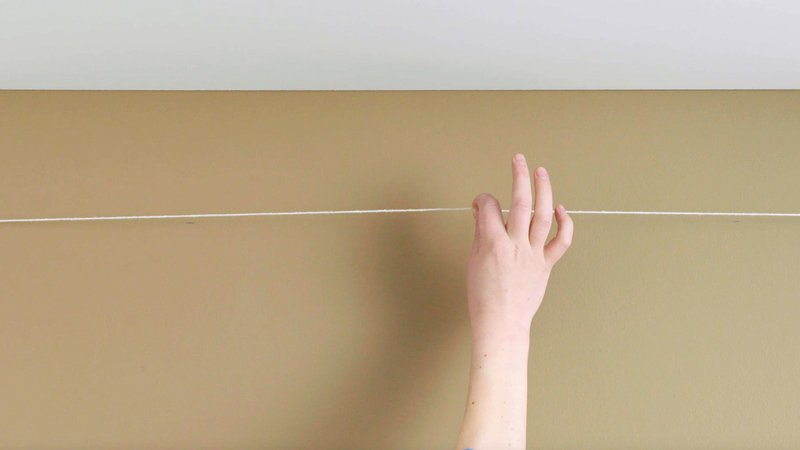 Using your roller, paint a stripe of colour to fill the space between the two lines of masking tape. 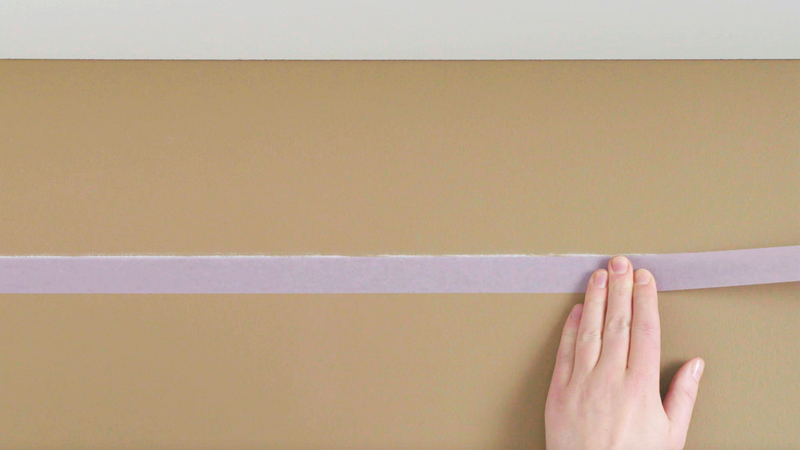 For a perfect finish, make sure you paint just over the edge of the masking tape.